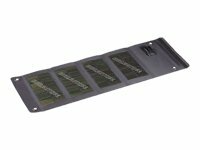 A Flexible solar panel is indispensable for the hiker, camper, boater or anyone who has to charge batteries or supply direct power to small appliances where power would typically not be available. Be mounted on curved surfaces such as hatch covers, decks, vehicle roofs, or tied down on sail covers, and canvas awnings. Charge 12 volt batteries, such as car, marine, RV batteries. . 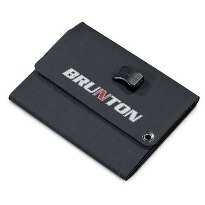 Charge laptops, cell phones, Ipods, GPS, cameras, and camcorders. 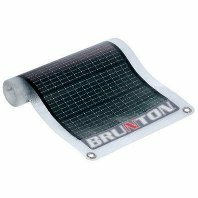 These solar flexible solar panels are also referred to as thin film solar panels because of the manufacturing process used to make these panels. In basic terms a very thin film of semiconductor material is bonded on a plastic surface. 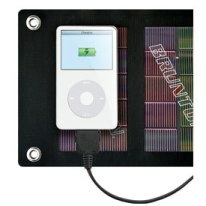 This allows the panels to conduct electricity from the sunlight to supply power for your remote charging or power needs. 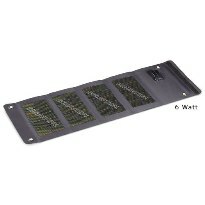 There are a number of flexible solar panels below that supply different wattages of power. Take a look to see if there is a solar panel that will do the job for you. 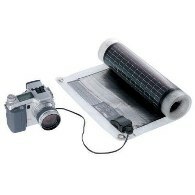 The Solar Roll was one of the first flexible solar panels on the market. This product has been widely talked about for some time and has received glowing reviews in major magazines and newspapers all across the country. This flexible solar panel has been used in expeditions worldwide to power satellite phones and other electronic devices, instead of carrying much heavier extra batteries. Even if your not part of a worldwide mountaineering expedition, you too can benefit from the SolarRoll by using it to charge your automotive, RV, marine or other battery, or to charge your camera, phone, laptop or other electronic devices. There are a variety of sizes you can choose from to take care of whatever job is necessary. You’ll get good performance even in low light with the amorphous solar cells. Reverse flow protection so you can’t overcharge your batteries. This flexible panel has the ability to be linked to other panels for more power. Vehicle outlet cable and multi-linking cable with 4 tips and battery clamp cable are included. 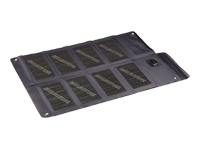 The Solaris 6 watt and Solaris 12 watt foldable solar panels are very compact and lightweight. This makes them a terrific solution for anyone needing a portable charging solution, whether you are hiking and camping, or charging car boat or RV batteries. These foldable panels utilize CIGS technology that maximizes their performance while making them portable.CIGS (Copper Indium Gallium diSelenide) This is the most efficient thin film solar technology on the market today. Included is a vehicle outlet cable, multi linking cable with 4 tips and a battery clamp cable. 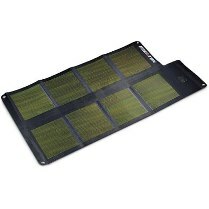 For even more portable power try the Solaris 26 watt foldable solar panel. 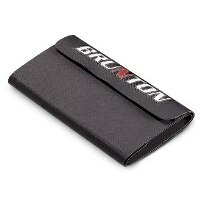 With the same efficient CIGS technology as the Solaris 6 and Solaris 12, this foldable solar panel with give you maximum performance in a lightweight portable charging solution. 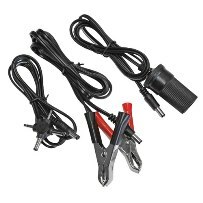 A vehicle outlet cable, mulit linking cable with 4 tips and a battery clamp cable are included. This solaris i6 has a direct connect iPod cable so you can power up from the sun and never have to miss any tunes while out camping or on the road. This solar panel is very compact and lightweight and is foldable to stow away with ease. Return from flexible solar panel to solar power panels. Return from flexible panel to solar energy scene home.